Coming from someone who doesn’t often get to wear sparkly things, I believe that jewelry made with crystals is a good investment. Why? Because crystal jewelry design is timeless — many of my first crystal beading projects from over ten years ago are just as fashionable now as they were back then! No matter what kinds of trends pop up in the world of crystal beads, a skillfully designed crystal jewelry design can be worn again and again, and even handed down through the generations as an heirloom. And there are some crystal jewelry making projects that I can recall from the pages of my Beadwork magazines that stick out in my mind as beautiful, classic crystal jewelry designs that could easily become family heirlooms. Crystal beads can either take center stage — like in the gorgeous crystal beaded beads — or they can add just a hint of sparkle to a twisted herringbone rope in Scarlett Lanson’s Pacific Discoveries necklace. The soothing colors of this piece evoke landscape of the beautiful Pacific northwest. I’ve always been at a loss as to what to do with some of the gorgeous sew-on crystal beads, but Marcia DeCoster’s New York State of Mind crystal bracelet is the perfect solution for me! Sophisticated enough to wear with a chic cocktail dress, but understated enough to go with jeans and a sweater, this is one crystal bead bracelet that you’ll never want to take off. One of my favorite crystal necklace projects, Laura McCabe’s classic Rivolis in Bloom necklace combines perfect freshwater pearls with crystal rivolis to create a unique and timeless necklace that you’ll want to wear every day. I love the way the glow from the freshwater pearls offsets the sparkle of the crystal rivolis in this piece. I’ve always thought that one dramatic crystal pendant can be more stunning than a heavily encrusted crystal necklace. Nancy Cain’s Crystal Drop necklace, with it’s bold crystal pendant and sleek herringbone rope, can just as easily be worn by a Hollywood starlet of the 1930’s as it can with today’s haute couture! 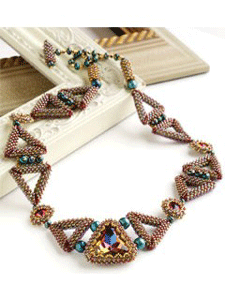 Are you looking for more classic beaded jewelry projects? How about over 200 of them from the last 5 years of Beadwork magazine? 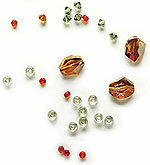 Check out the Favorite Bead Stitches Ultimate Collection. This exciting digital collection includes five special issues, assembled from the best of the best, chosen by the editors of Beadwork magazine! 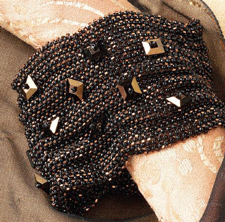 Best of all, you can download it instantly and be ready to bead in just minutes! 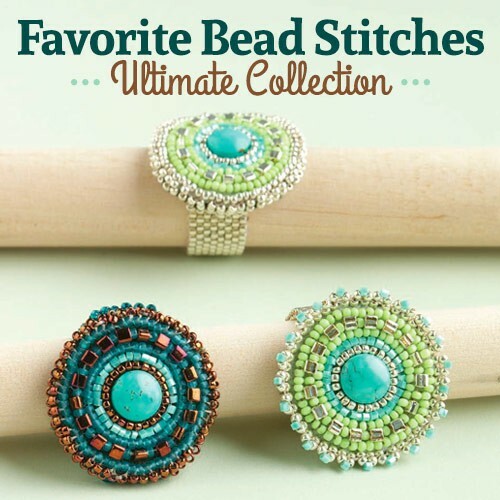 Get your Favorite Bead Stitches Ultimate Collection while there are still some to be had, and enjoy making these classic beading projects!